You've probably tried to melt butter in the microwave and ended up cleaning up greasy splatters on the sides and door. Not only do you have a mess, but now your measurements may be off if you were melting a specific amount for a recipe. What is a clean, easy and foolproof way to melt butter? The easiest way to melt butter without a mess is to use the power setting for your microwave, so you aren't overheating it and making it pop and spatter. By heating for a limited time at a lower power setting, the butter will heat slower, and you should be able to avoid the mess. 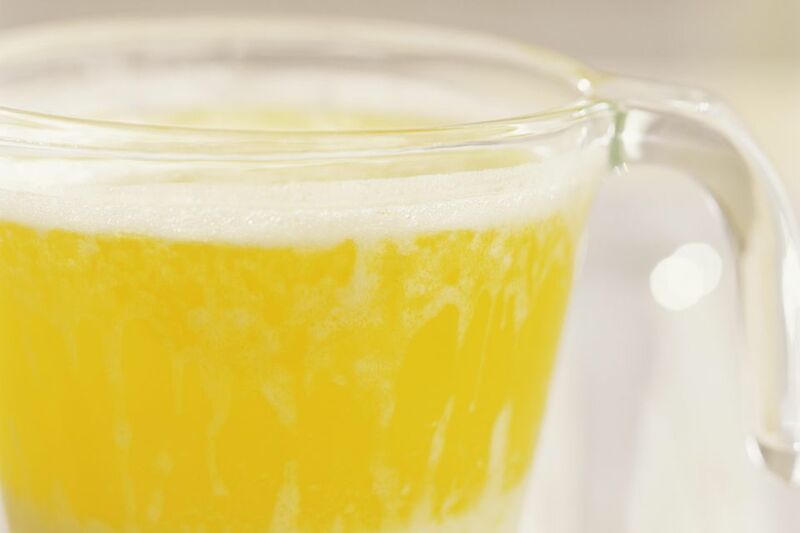 Place the amount of butter needed in a BPA-free, microwave-safe bowl, such as a clear glass custard cup. Before you perfect your technique, it's wise to loosely cover the cup with a paper plate, saucer, or silicone baking form to keep the spatter confined. This might block your view of the melting process, but it will mean less clean-up if you still get spatter. Put the bowl in the microwave. Program your microwave for 30 seconds and 40% power. If the butter has not melted, you should tip the bowl from side to side to move the unmelted part of the butter around in the portion of hot melted butter. Use a pot holder or a kitchen towel to grip the bowl if it's hot, and return it to the microwave for additional 30-second increments at 40 percent power until completely melted, repeating the tipping process in between increments. If you're melting an entire stick of butter, stop the melting process when there's still a pat of butter remaining, and stir the remaining butter into the melted butter so that the heat of the already melted butter can complete the melting process. When you need a specific quantity of melted butter for a recipe, be sure to read the ingredients list closely. Keep in mind that there is air mixed into solid butter so the volume of solid butter will not be the same when it's melted. If the recipe calls for "1/4 cup of melted butter," you must melt the butter first. Melt a little more than 1/4 cup to make up for the air mixed into the cold butter, then measure 1/4 cup of it in a liquid measuring cup. If the recipe calls for "1/4 cup of butter, melted," then you can measure 1/4 cup of the cold, solid butter, and then melt it. That is easier to do if you are using sticks of butter that have handy markings on them for cutting the stick for the amount you need.